Self-control has gained a privileged position among personal traits in recent years. If your kid has self-control, study after study suggests, they are pointed toward good grades, high income, and slim waistlines. The research mainly has focused on self-control as a stable individual trait, similar to personality traits like intelligence. But new research suggests that group identity also affects self-control. 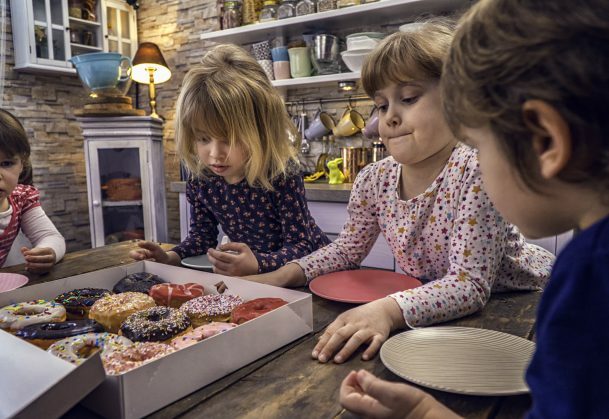 Sabine Doebel and Yuko Munakata, psychological researchers from the University of Colorado Boulder, have found that children delay gratification by using self-control when members of a group they belong to also exercise and value self-control. Their studies are published in Psychological Science. The foundational findings on self-control in children came from APS Past President Walter Mischel’s famous marshmallow test, one of the most impactful tests in the history of psychological science. Beginning in the 1960s, Mischel tested young children’s ability to resist the impulse to eat a single marshmallow. If they could sit alone in a room for a set period of time without succumbing to the temptation to eat the marshmallow, they would receive two treats instead of one. These early tests and follow-ups with the subjects later in life found that those who had exhibited the most self-control in the marshmallow test were generally more successful as adults. Doebel and Munakata added one step to the beginning of the marshmallow test. Experimenters gave the children a colored t-shirt to wear, then showed them a picture of similarly-dressed kids. They told some of the children that their ‘teammates’ had all taken the marshmallow test and waited for a second marshmallow, but members of a different group didn’t wait. Others were told that their group members ate the first one without waiting but another group did wait. Others were told nothing about how their group members did on the test. Those participants who were told their group members were patient ended up waiting almost twice as long for a second marshmallow as the others. Doebel’s research suggests that parents and educators might consider using group dynamics to help children learn self-control. The authors made their data and materials available freely online for others to use in their own analyses. They also preregistered their study, meaning they published their plan of action for experiments and analysis before the experiment started and updated their registration if anything changed during the experiment. Preregistration minimizes the amount of ‘improvising’ a researcher can do during an experiment and creates a paper trail that other researchers can follow to make sure the scientific process is transparent.